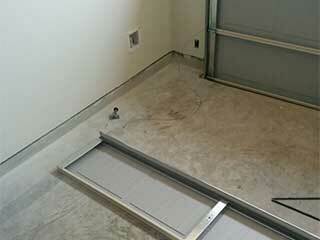 Our professional technicians have been repairing overhead door systems for a very long time now. Over the years, they've acquired a lot of experience and knowledge, and perfected their skills through non-stop honing practices. Regardless of what's plaguing your door, we can take care of it. As perhaps the key part of your system, the opener isn't immune to troubles. From worn out motor gears that prevent it from working properly, to fried electrical wires that can render it completely inoperable, the various issues it can experience can be widely different and will require different tools and skills to solve. Luckily for you, we have all the prerequisites to get this done effectively as well as quickly. Whether it's the cables that secure your extension springs when they break, or the ones that pull your panels up and down, our technicians can handle them. We specialize in restoring cables that got off the drum and replacing ones that broke as a result of overstress. We can do the same for the springs. These are components that require delicate care, as they are under a great deal of tension and can be extremely dangerous as a result. That's why you should never try to handle things by yourself and instead always reach out to our team to get it done safely. When you're dealing with a problem that merits urgency, and you need someone to help you as soon as possible, we're the team to call. Our specialists will waste no time getting to you and solving any problem you're dealing with. Remember that our experts at Garage Door Repair Las Vegas are here to help you. No matter how complex of a problem you have on your hands, there's no need for you to go at it alone. Call us today.